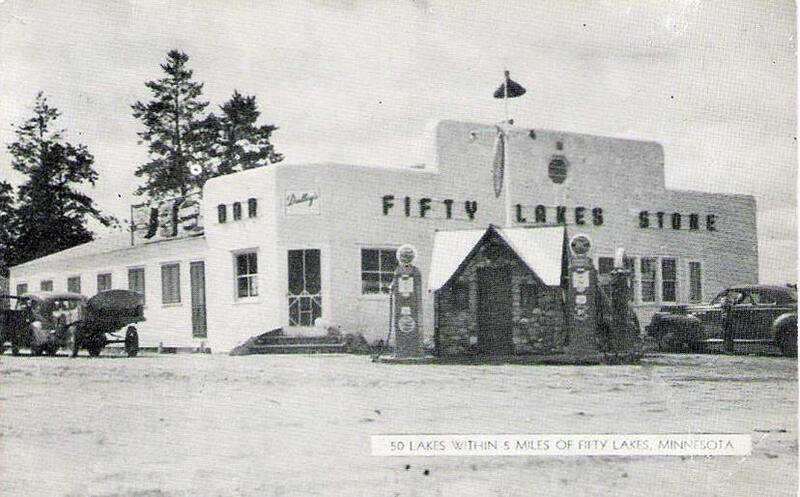 Do you have photos, historical accounts or other items pertaining to the Fifty Lakes area? Would you like to share this historical information with the world? LakesnWoods.com would like to publish your Fifty Lakes photos (current or historical) or historical accounts on this website. Original materials can be returned and your privacy will be respected. 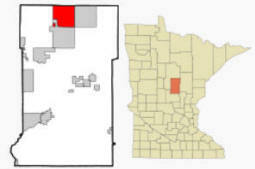 Fifty Lakes is a city in Crow Wing County. County Roads 1, 3, and 136 are major routes in the city. According to the United States Census Bureau, the city has a total area of 33.16 square miles (85.88 km2), of which 29.20 square miles (75.63 km2) is land and 3.96 square miles (10.26 km2) is water. The elevation is 1,289 ft (393 m) above sea level. As of the census of 2010, there were 387 people, 173 households, and 129 families residing in the city. The population density was 13.3 inhabitants per square mile (5.1/km2). There were 585 housing units at an average density of 20.0 per square mile (7.7/km2). The racial makeup of the city was 99.2% White and 0.8% from other races. Hispanic or Latino of any race were 0.8% of the population. There were 173 households of which 20.2% had children under the age of 18 living with them, 65.9% were married couples living together, 3.5% had a female householder with no husband present, 5.2% had a male householder with no wife present, and 25.4% were non-families. 19.1% of all households were made up of individuals and 11% had someone living alone who was 65 years of age or older. The average household size was 2.24 and the average family size was 2.53. The median age in the city was 56.4 years. 17.6% of residents were under the age of 18; 1.7% were between the ages of 18 and 24; 13.1% were from 25 to 44; 32.6% were from 45 to 64; and 34.9% were 65 years of age or older. The gender makeup of the city was 51.2% male and 48.8% female. 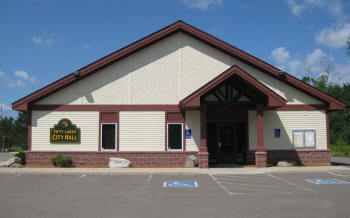 FIFTY LAKES, a city of Allen Township, section 26, incorporated May 10, 1949, with a post office since 1926. 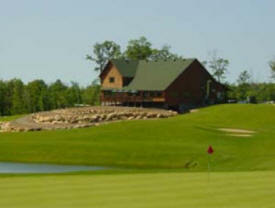 Golden Eagle is an 18-hole Championship style golf course designed by Michael Morely and Bruce McIntosh. Situated on 210 acres of a former private preserve, Golden Eagle offers spectacular views from its many elevated tees. Designed in harmony with its majestic north woods surroundings, the forests, wetlands, and dramatic elevation changes all help make Golden Eagle a truly golden golf experience. Reflecting the belief that championship courses are not built just for professionals, Golden Eagle offers an impressive variety of play. What can be a serious challenge from the back tees can become fun and friendly from the regular and forward tees. A driving range and large practice putting green with a greenside bunker are available to sharpen your game. 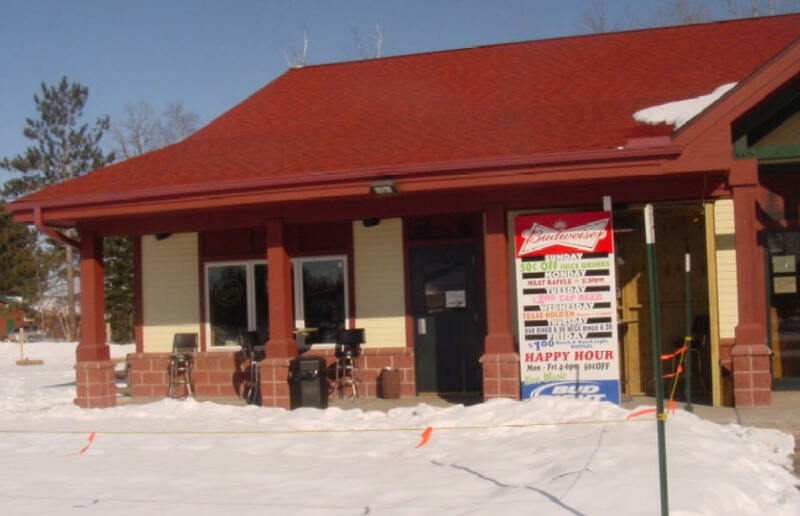 The beautiful clubhouse includes a pro shop as well as a bar and grill for casual dining. Take a few minutes to enjoy the great views of the golf course and Eagle Lake from the spacious deck. 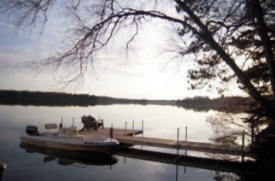 Our resort is located on West Fox Lake in Fifty Lakes, MN. 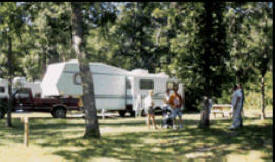 EDGEWILD is a family resort with lakeside and forest cabins available. We are nestled way back in the woods, yet close to the many activities, restaurants and resources the beautiful Brainerd Lakes Area has to offer. Come for a visit in scenery of peace and quiet. Enjoy the serenity of the lake while watching the nesting eagles just down our shore or watch the otters play in the water. After 75 years, the traditions continue! 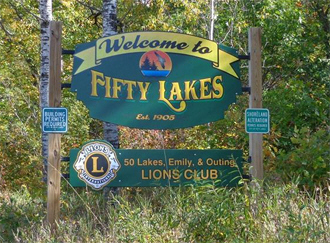 At Fifty Lakes Campground, we pride ourselves in being a family owned and operated facility with emphasis on family camping at it's best; we have something for people of all ages. 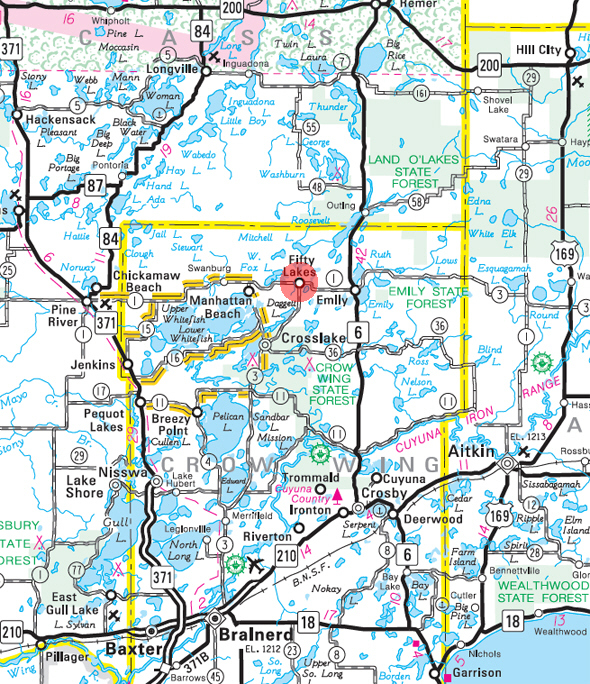 Our campground encompasses 40 acres that borders Dagget Brook, which flows between Mitchell Lake and Pine Lake, and eventually into Crosslake. 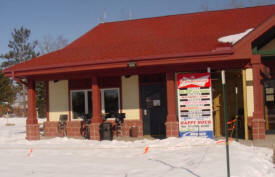 Here at Broken Rod Bait and Tackle, we offer live bait and tackle year round, 7 days per week. We are now partnering with Retrievers Etc. to also offer Dog Boarding as well as Dog Training Classes.